I think everyone loves parties especially kids. Only a few days left till Cinco de Mayo and I know it is going to a very busy celebration even here in Toronto. And what a celebration without party accessories, which make every party so much fun. We were lucky to receive Cinco De Mayo Items from PrivateIslandParty.com. 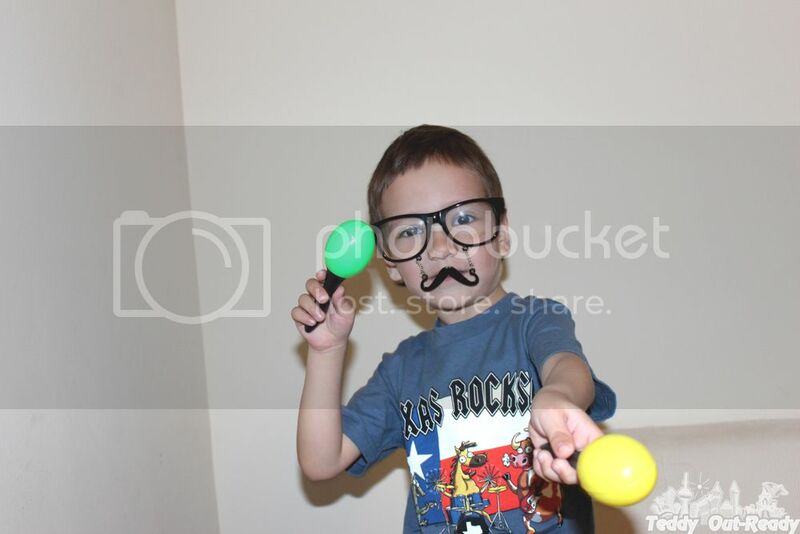 Two colors Maracas, green and yellow, which Teddy likes the most and continues making lots of noise these days. He dances with them, sing songs and count numbers just to have some fun. Next party item is Incognito Mustaches Glasses which do not make much difference the usual glasses, except they have the plastic mustache attached to the frames by a thin metal chain. While one size fits all, Teddy looks like a grown-up man and I tell him that he reminds me Super Mario. When we play, I usually say that I cannot recognize this male with moustaches in front of me and ask to introduce himself. 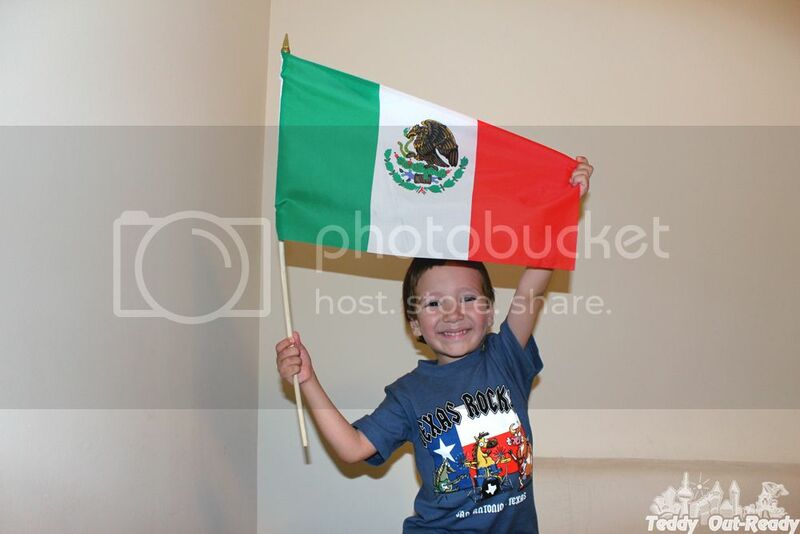 Mexican flag will be great for Cinco De Mayo party and we are looking forward to a fabulous celebration with our Mexican friends. Even after the party the flag will definitely find the use, especially with upcoming FIFA World Cup 2014. 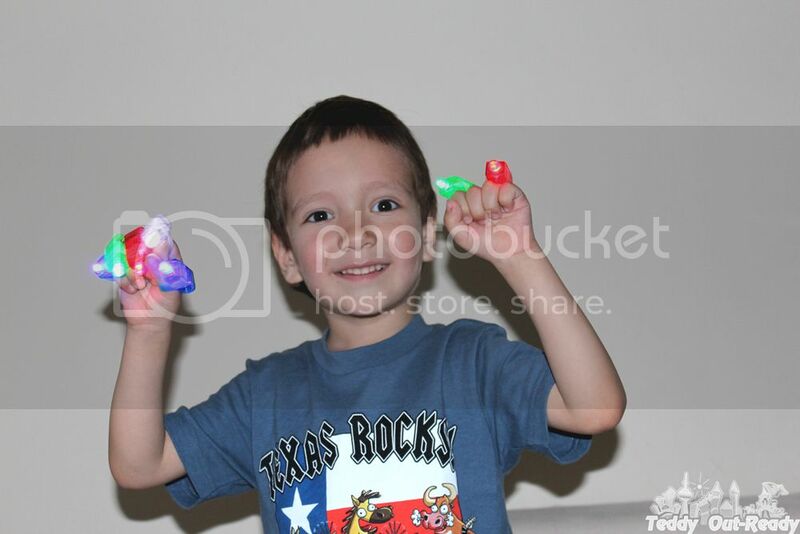 The last items 4-Pack Finger Lights are keeping our boy busy for long time, even now before the upcoming party Teddy is having fun playing with them. The set is for both hands, eight lights in total so this helps Teddy making different shapes on the wall and play with lights. I hope it will be warmer in May so Teddy will have more chances to use finger lights while parting outside. Overall I can say that PrivateIslandParty.com has a good selection of party supplies for any occasion including Cinco de Mayo, just check them out, and they are affordable too. Happy Cinco de Mayo to all of my friends!